This has to be the best accommodation in Mooloolaba, perfect for your next beach holiday. 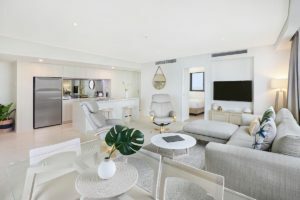 Breeze Mooloolaba is one of the newest resorts offering guests modern fully self contained and furnished apartments in an enviable beachfront location. Its fluid design represents the beach with sinuous curves and alternating waves that form the balconies and offer stunning water views from the ocean view apartments. A sophisticated resort for this with a passion for life and luxury. Select from one and two bedroom apartments with hinterland or ocean outlooks. Both offer stunning views over the coastal surrounds and are perfect for solo travellers, couples as well as families. 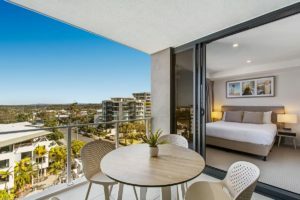 Mooloolaba is definitely a holiday sweet spot with Breeze Mooloolaba ideally located being just a short walk from both the Mooloolaba Esplanade and the local patrolled beach. You will be spoilt for choice when it comes to coffee shops, cafes, restaurants and retail shopping with the Esplanade and Mooloolaba wharf precinct providing wide choice for all tastes. Seize the day and head out for an early morning walk along glorious Mooloolaba beach to the Mooloolah River. 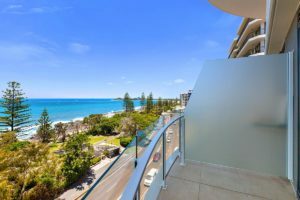 The sweeping bay leads to the spit, walk to the end of the rock wall where you can enjoy amazing views back to Mooloolaba and the northern Sunshine Coast coastline. Keep your eyes peeled especially during whale watching season with humpbacks regularly spotted from this vantage point. With its park lands, playgrounds and open green space it is not hard to understand why this area is very popular with families and local events with weddings a regular occurrence. 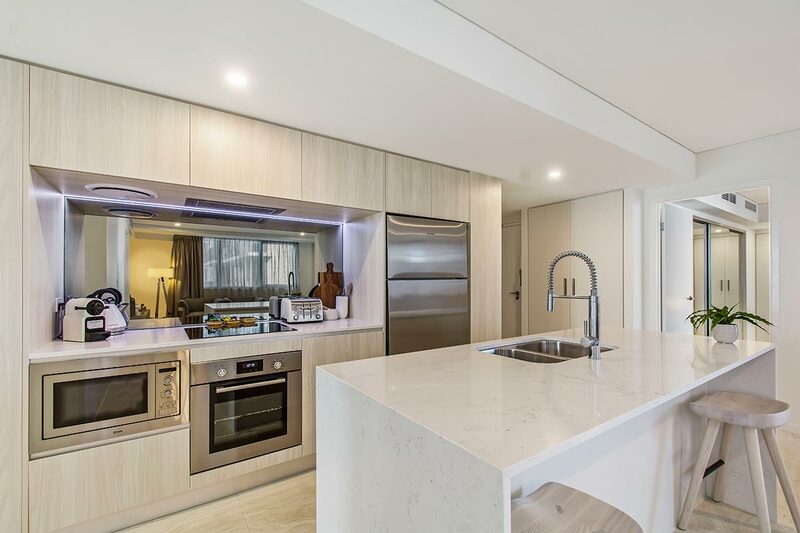 Breeze Mooloolaba….abandon yourself in this delightful accommodation in Mooloolaba.